Today we had Mackenzie’s follow-up appointment for her x-ray in her brace. They wanted to check and see if the brace was fitting correctly and if they would need to make any adjustments. They said they would like to see at least a 50% correction in the brace, but in the brace Mackenzie’s curve is down to 2°!!! That $2,000+ piece of plastic actually works! 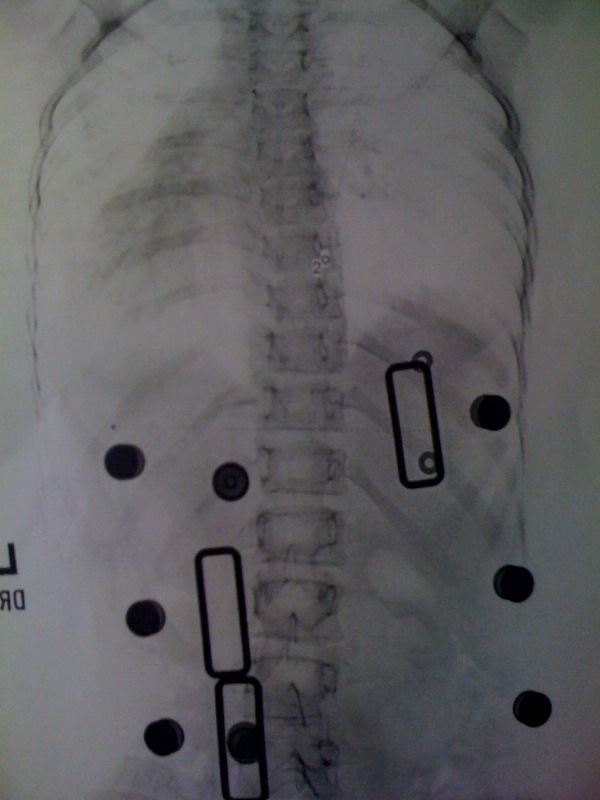 She will have another x-ray in 6 months to see what the curve is without the brace. Hopefully it will not get worse and will just stay the same so she’ll be able to grow some more.